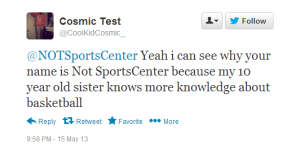 These tweets were responses to @NOTSportsCenter tweets on Wednesday May 15. Don’t doubt our completely made up sources. They are NEVER wrong. What if San Antonio’s into some nasty stuff like that though? They’re old, they’re probably used to having sh…okay that’s gone far enough. 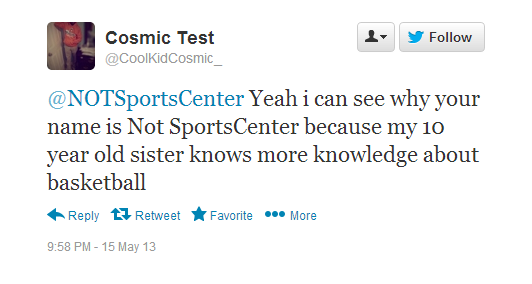 It’s more of a compliment to be told we aren’t SportsCenter. We emphasize the NOT for a reason. Thank you! Very sweet of you. 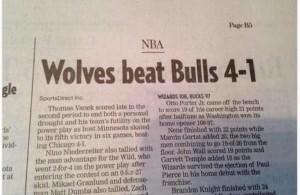 How dare we joke that the higher ranked team will beat the lower ranked team! SO BIAS THO. 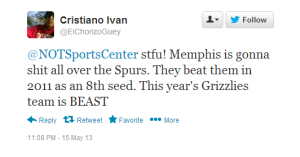 We close the Grizzlies section and move on to a favorite group of everyone’s: The Heat. Heat + mocking = hilarity. Always. We told you last night: it’s HATE, not jealousy. Or they’re jokes. Don’t you people listen? Geez. 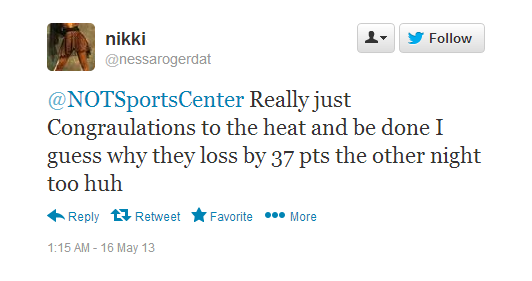 Funny, last week when we were making fun of the Bulls we were clearly Heat fans. Can’t you make up your mind? 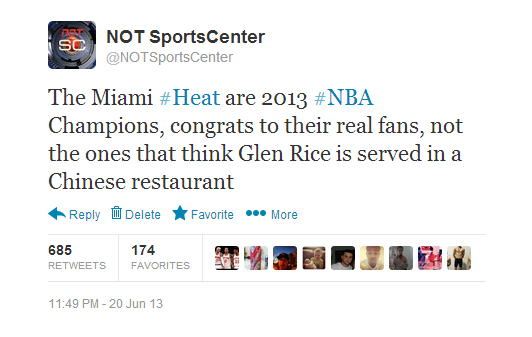 “Your A Heat Hater” could’ve been a great name for this page. Damn. Oh well. She knows more knowledge? She should talk you some more words then. You could use a refresher. Uh……sure? Clearly Heat fans and the English language do not mix.